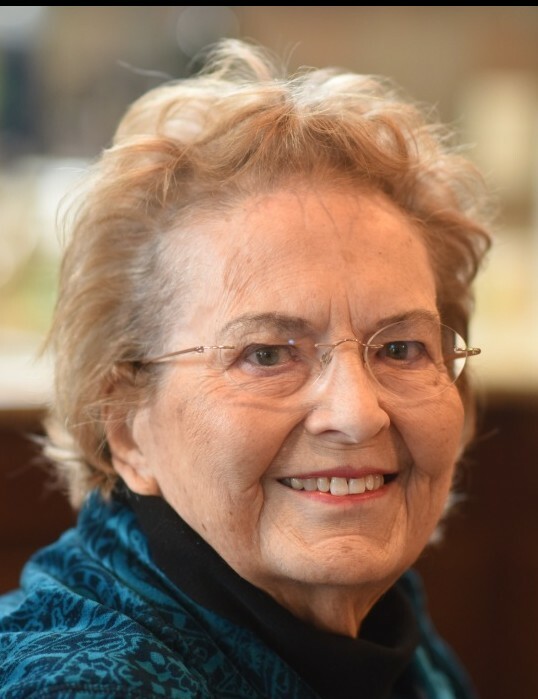 Marilayn Garnet Kenner Ruble, known to all but her childhood friends as Lynn, died January 22, 2019 at the Oaks (nursing facility) in Brevard, North Carolina at the age of 91. She was born on June 12, 1927 to William Wortman Kenner and Mildred Ida (Brown) Kenner in Aurora, Illinois. Following her graduation from West Aurora High School, Lynn worked at the Pictorial Paper Package Corporation in Aurora as a commercial artist. It was there that she met and fell in love with Robert Hal Ruble, whom she married in 1947. Following the birth of a son (Robert William Ruble) in 1950, the tiny family moved to South Bend, Indiana. A second child, a daughter (Connie Lynn Ruble), was born in 1952. While raising her children, Lynn was a nurturing mother and was very active in the Cub Scouts, Girl Scouts, and Indian Guides. She was a Den Mother for her son, and she was registered as a Girl Scout leader for more than fifty years. She specialized in arts and crafts, and she was known by her Girl Scout camp name “Chalky” in reference to her many pastel paintings. Throughout her life, Lynn painted many beautiful portraits and landscapes. In 1969 Lynn was divorced and re-entered the full-time work force. Strong and independent, she served as the activity director at a number of nursing homes and retirement homes in the South Bend area, including Hamilton Grove Nursing Home, Cardinal Nursing Home, and Sisters of the Holy Cross, St. Mary’s Convent. She retired in 1993 and remained in the South Bend area until moving to the Heritage Hills Senior Living Community in Hendersonville, North Carolina in 2014 to be near her daughter, Connie. Throughout her working years Lynn was very active in the nursing home activity field, leading several professional organizations, authoring newsletters, and training other activity directors under Indiana State Board of Health programs. After retiring, Lynn joined Leighton Center, Shepherd’s Center, and the Howard Park Senior Center. Initially scared to speak in front of a group, she grew adept at public speaking and enjoyed sharing her love of activities and crafts with these groups. Other hobbies included playing bridge and cooking. Nothing made her happier than hosting family and friends around her dining room table. She was a collector of many things and had a large number of cookbooks, craft books, piano rolls, and antiques. With all her craft supplies, she could make anything! A child of the depression and very resourceful, she never wanted to waste a thing. Lynn was baptized in the United Methodist Church in Aurora, Illinois and was a member of other Methodist churches throughout her adult life. She had a strong faith, loved her God, and prayed daily. She is survived by her son Robert William Ruble (Marilou), her daughter Connie Lynn Ruble, and three grandchildren: Katharine Amelia Ruble Metzner (Jeffrey) with great grandchildren Abby, Andy, James, Elizabeth, Lily, and Jack; John Robert Ruble (Kari) with great grandsons Oliver, Ethan, and Caleb; and Emilyn Barbara Ruble Whitesell (Cody) with great-grandson Franklin. Also surviving is her sister Shirlee Rae Kenner Miller, her beloved first cousin Maribelle Louise Porter Neal-Andersen, and many other cousins, nieces, and nephews. A memorial service open to all will be held in the Heritage Hills Club House at 3200 Heritage Circle in Hendersonville, North Carolina at 2:30 p.m. on Sunday, February 3. Her burial will be at Riverside Cemetery in Montgomery, Illinois. Memorial contributions may be sent to the nursing or retirement home of your choice, earmarked for the Activities Department. To send condolences to the family, please visit HealyChapel.com.